Released in 1988, this is a film that I can remember always seeing on shelves of my local video stores back in the day. The name always struck me as sounding cool, but the cover art, a black and white silhouette photo if I recall, didn't tell me anything about the film in general so I just avoided it. Having finally sat down to watch it for the very first time, I can say that I regret that decision because I'm sure it would have been a personal favorite of mine growing up, had I seen it as a teenager. 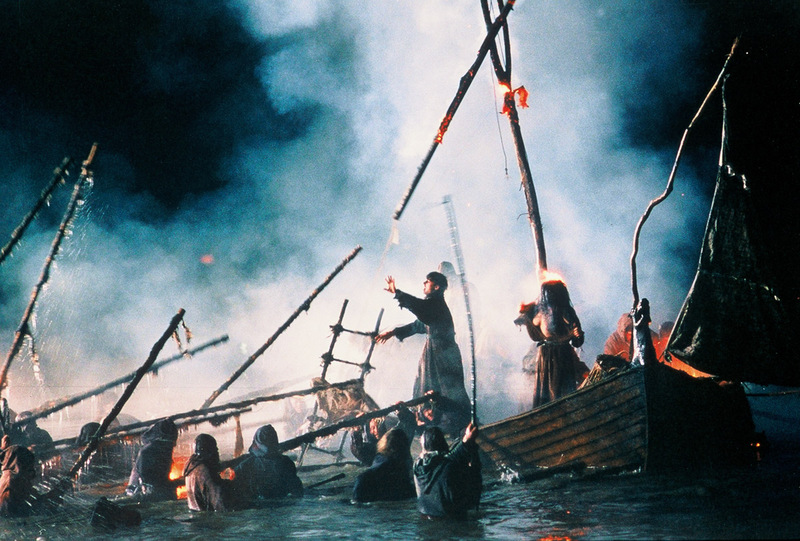 Because the truth is that The Navigator is a beautiful film all around. Truly unique in it's own very special way, full of gorgeous cinematography, strong performances and a story that took a direction that I had not expected. And that's a good thing. 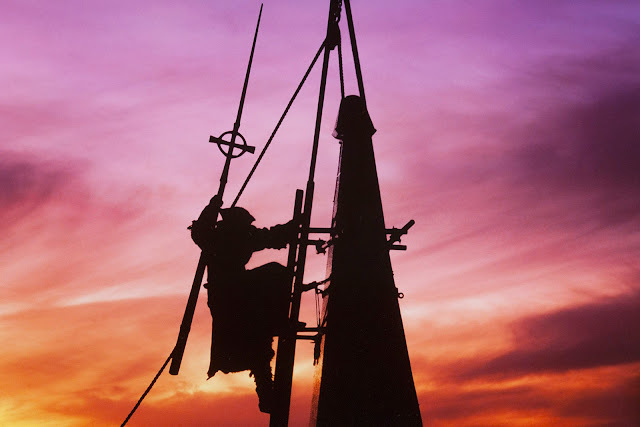 Written and directed by New Zealand filmmaker Vincent Ward (What Dreams May Come), who's far too infrequent with his films, this medieval fantasy was such a refreshing breath of fresh air. 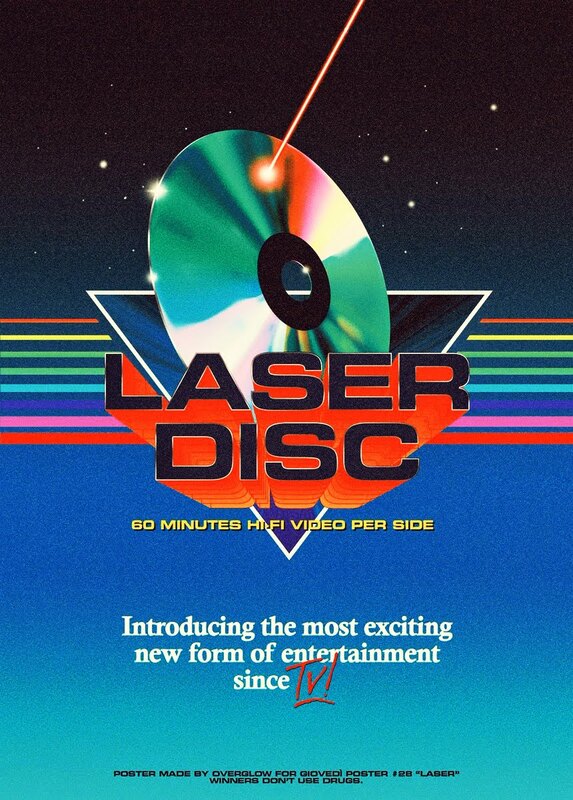 The whole time travel angle completely caught me by surprise, and while the film spends equal amounts of time in the dark ages as well as the present day circa 1988, it's all handled with such care and precision that it's almost seamless. While not necessarily a big fan of medieval films, there's so much more to the film that it didn't bother me one bit. It helps that the film is a constant stream of stunning images courtesy of Vincent Ward and cinematographer Geoffrey Simpson (Shine), who capture it all through black and white and color in a uniquely satisfying way. From what I understand, this cult classic never got a really good release here in the states that I know of. Which is a shame because it's hands-down one of the most visually stunning films I've ever seen, with every frame of film being damn near jaw-droppingly gorgeous. So to have to see this in such a bad state (meaning the old days of VHS), and worse yet, full-frame, is a travesty to all the work that went into this film. Thankfully Arrow Films is here to save the day, and let me tell you, they did a wonderful job. 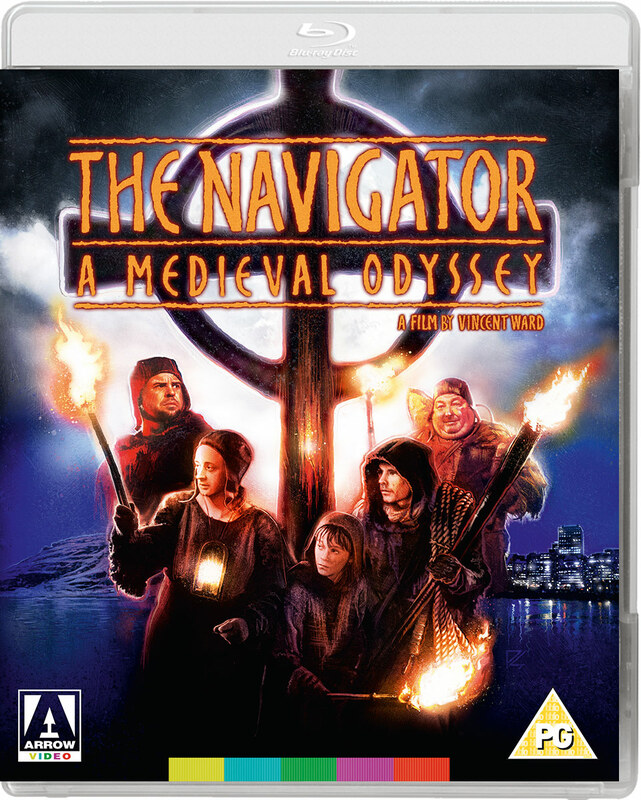 Presented in a stunningly impressive new HD transfer, The Navigator has never looked so good. Clean, crisp with a faint graininess that I just adore, you will never find a better looking presentation of this landmark film anywhere. It's also presented in it's original Mono Audio, along with English subtitles. While the technical aspects of this release are pretty great, it's not as comprehensive as some of their previous releases wherein you get a vintage made-for-tv documentary about Vincent Ward's life and career that was made in New Zealand, a trailer and a new "appreciation" interview by film critic Nick Roddick, who offers some insight into the films production and release. And that's pretty much it in the Special Features department. 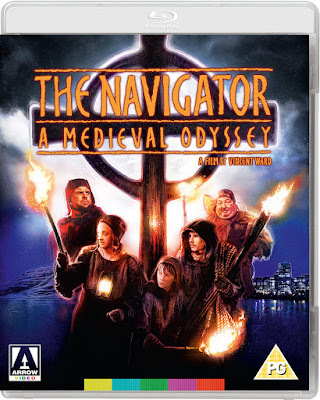 The Navigator: A Medieval Odyssey is set to release on Blu-Ray this Tuesday, July 23rd worldwide and can be purchased directly from Arrow's website HERE, or from any of your favorite online retailers.